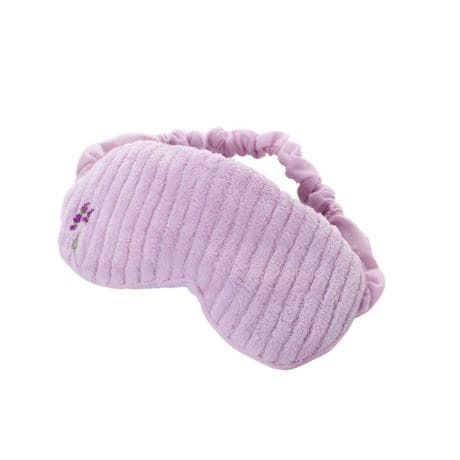 Integrating soft texture and soothing scent to aid relaxation, these slippers and eye mask filled with flaxseed and lavender can be heated for added stress-relieving warmth. Essential for recovering from winter elements or a stressful day at work, they're made of super-soft polyester. Imported. 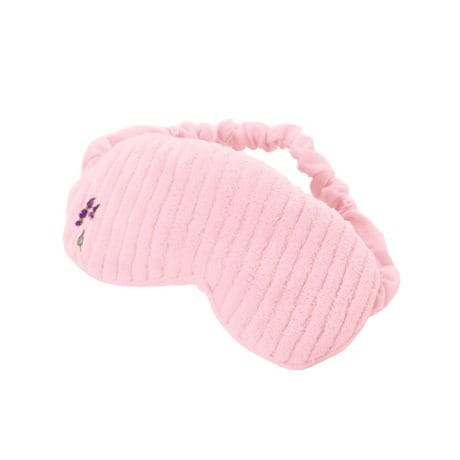 Wonderfully soft eye mask uses covered elastic for positioning. Slippers fit women 6-10. Choose Lavender or Pink.